And speaking of inspiration, we thought you’d enjoy these two campaigns from Country Financial and Conair in particular because they represent the variety of ways you can leverage Votigo’s different application types to engage and activate your audience. The insurance company is leveraging Votigo’s Personality Quiz application in order to provide an additional engagement opportunity for their customers. Participants are invited to answer a series of questions about how they interact with Fantasy Football in order to learn what kind of fan they are. At the end of they quiz. they are rewarded with a fun icon that they can share across their social networks, which creates a great viral word-of-mouth marketing effect for the brand. This campaign was built using Votigo’s self-serve platform and features mobile responsive design and social share functionality. 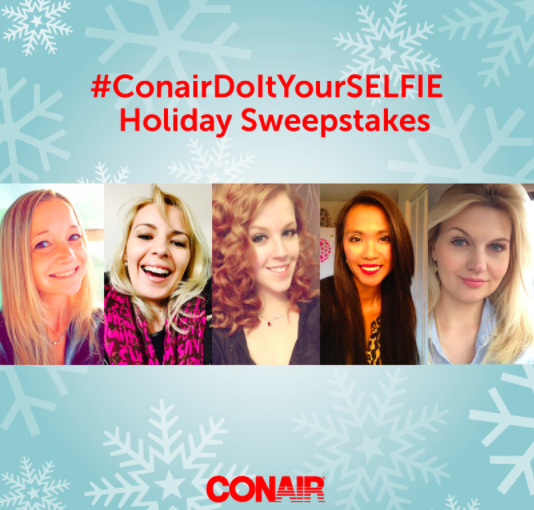 Conair’s #DoItYourSelfie Holiday Photo Sweepstakes In this promo, Conair fans are invited to share a photo of how they used a Conair product to achieve their holiday look by using the branded hashtag #ConairDoItYourSelfie. Hashtag campaigns let your fans enter a promotion through their Instagram and Twitter accounts as well as directly from a Facebook page or Website. This way, people can participate from the platform they are most comfortable with, which is a great way to ensure high levels of campaign engagement for your brand. Also built using Votigo’s self-serve platform, this campaign features mobile responsive design, content moderation and social sharing. Ready to start planning your next campaign and kick off the New Year right? Click here to schedule a live demo with an Account Representative.